This is Quigley. 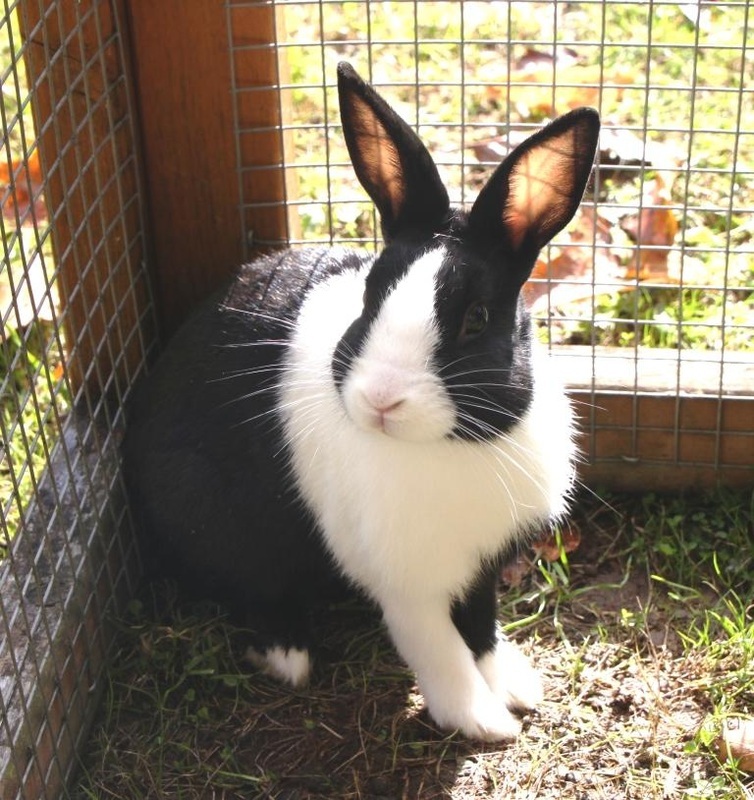 He's a very cute black and white Dutch rabbit looking for a new home. 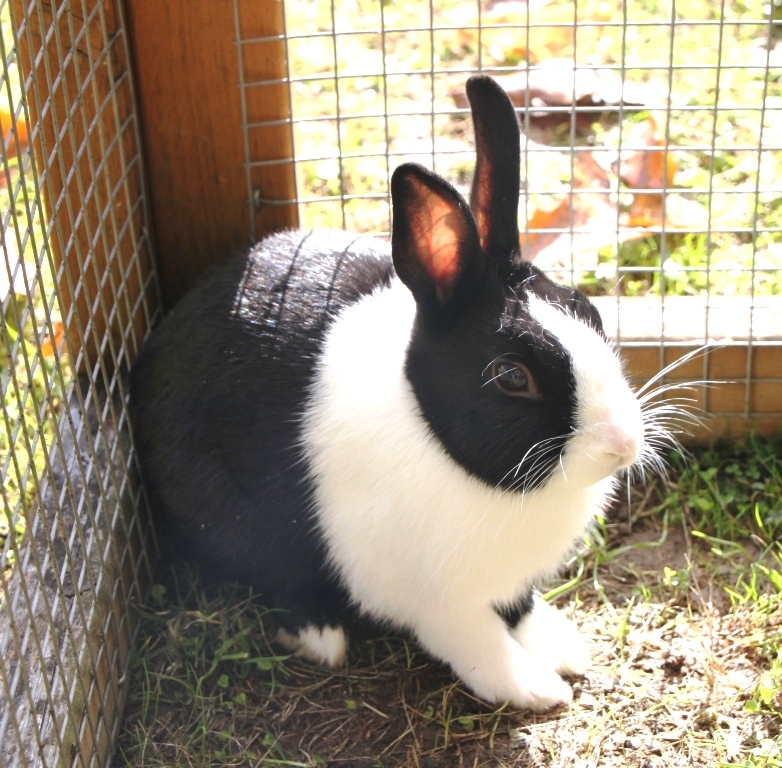 He's quite small so we think he is probably under a year old but he is very friendly and easy to handle.